Enjoy the quick access and archival benefits of your PACS for all of your studies. 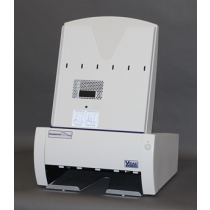 Integrate into your PACS with one of these digitizers and get rid of that file room filled with prior patient films. Recycling the films also allows you facility to be environmentally friendly. Don't forget to ask about film recycling!